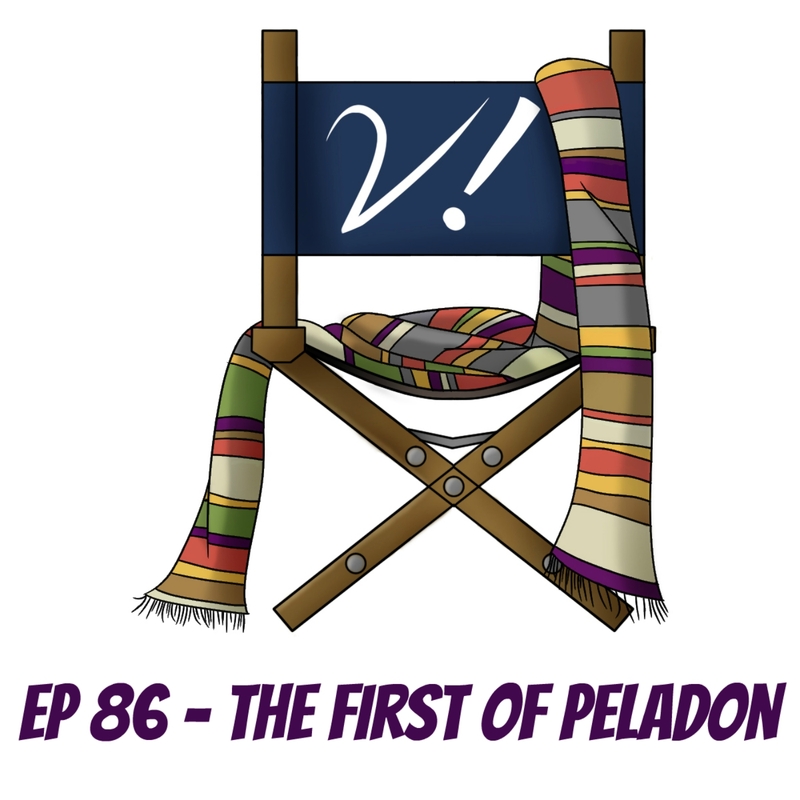 We close out our companion miniseries in fine style with Liz’s pick, “The Curse of Peladon”. Join Deb, Erika, Katrina, and Liz as we discuss Jo’s merits as a companion. They are many–especially in this story. There’s a lot of Jo love, dissension among the ranks as to which Peladon story is better, and even some soul-searching. It’s quite an episode! What do you think about Jo? Is she as awesome as the Verities think? Or do you still see her as a useless screamer? Let us know in the comments! Liz cannot contain her excitement that River Song will be in the Doctor Who Christmas special! Erika shares fanart inspired by Lazy Doctor Who! Kat fangirls all over the trailers for the new Big Finish Torchwood audios! Deb receives chocolate Daleks from Fear’s Confections! TARDIS Tavern episode 61: A Pertwee Extravaganza! Extra! – Prologue! Prologue! Prologue! Here are just a few of the many reasons Deb is wrong about River Song. Never harsh another fangirl’s squee. I rewatched Curse of Peladon with my husband before listening to the podcast. He said, somewhere in Part III, that this was so bad he couldn’t believe he was watching it but he also couldn’t tear himself away from it. I could have done with a more subdued performance from the caped wang — and I agree with Deb that it’s not a cape but I always thought it was a pinch-pleated drape. And what was with the flesh-colored gap between Troughton’s doublet and his thigh-high boots? A fitting ending to a lovely mini series of discussion. I’m very much on the side of a 3rd Doctor/Jo Grant romance. I even wrote an essay on it, which was published in Time Unincorporated, volume 2, called Love, TARDIS Style. It’s the one great romance in classic Who, in my opinion. SQUEE HARSHERS! (I’m only past the happy things in the episode. Deb, Erika, you are wrong). I’m another believer in “The Monster of Peladon” is better than “The Curse of Peladon”, but that has a lot to do with the miners story and really not liking the prune-in-a-box ambassador in Curse. However both are good stories and Monster is in my top 30 stories. I love the Pertwee era but to really enjoy it is has to be watched 1 episode at a time. As we all know, it was designed to be watched 1 ep a week and never repeated. Some of the storytelling is a little heavy handed so, in an era with no home videos, people could remember what happened last episode a week later. The never repeated is mostly true, there were only 2 or 3 stories repeated from 1963 to the mid 70s, simply because the regulations controlling the BBC required the BBC repeat very little and then only with government permission. That changed with the BBC getting multiple tv stations and the rise of video recorders. So if you missed an episode of “Doctor Who” you expected to never see it again, unless you lived in a country that repeated it. I watched the Curse of Peladon just for this podcast and I really liked it. It might just be my favorite classic Who so far. I also think the term “Squee harsher” should be a thing. I know I’m going to use it from now on. I just came here to say that Indira Varma is one of my personal heroes because she’s a professional, working artist who got to make out with Paul McGann and Idris Elba in the same gig. Being on Torchwood before that, and Game of Thrones after is the awesome, nerdy frosting on her amazing career cake.